It’s more fun in the Philippines… that’s according to our new and official tourism campaign slogan. I sure agree to that! But isn’t it more agreeable if all of us, Filipinos will be able to personally experience the true beauty and riches that we have been boasting to thousands of tourists from all over the world who come and visit our country every now and then? I know many of us are not equally chanced when it comes to that aspect – to travel… but don’t feel bad. We’re on the same boat! Let’s rather dream while we can. It’s free, after all. 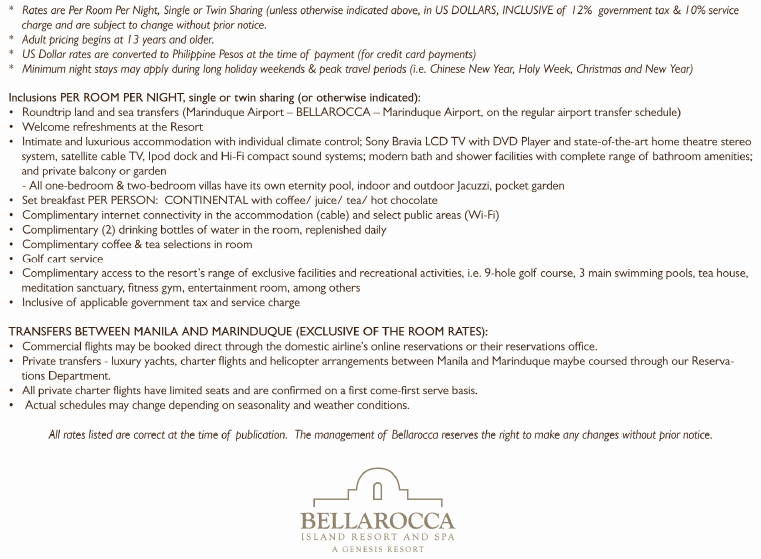 So where do you want to go in the Philippines? I have been actively participating in a certain comment exchange activity on Facebook and from there I get to see stunning places in our country I never imagine do exist. 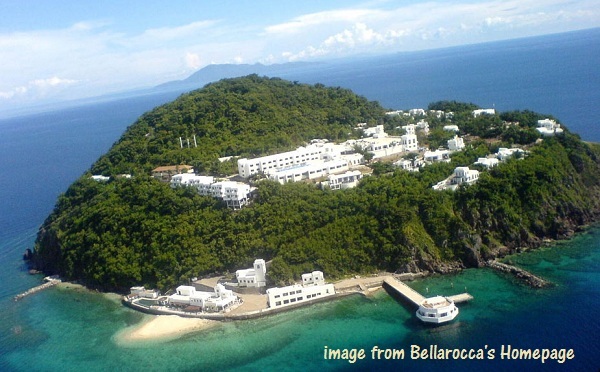 One of those places is this newly added to Marinduque’s tourist attractions list – the gorgeous Bellarocca Island Resort and Spa – the place I wish to be next! Oh how I wish I have luxurious finances to hop from one island to another and discover heavenly places like this in just a snap. Spending a day or two at this island is sure worth every single of your peso (if you have it). Take note of the word used: WISH. That is especially after I’ve downloaded a PDF file of its Published Rate for 2012. See screenshots below. Click to view image in full size. Whew! Flattering, isn't it?I haven’t even been to Marinduque, myself. However, should you wish to get stunned by this island in the future, here I have included in my research ways on how to get to Marinduque. 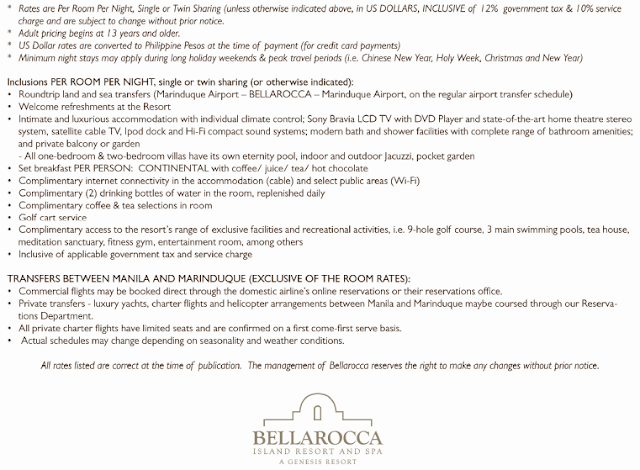 To see for yourself what's in store for you at Bellaroca Island Resort and Spa, you may visit their official website here.